What most people do not realize is that, even if the charge against you was dismissed, the arrest and original charge still remains on your criminal record. And any criminal record will show up on a background check, seriously inhibiting your ability to get a job, buy or rent property, or even adopt a child. If you fail to take action, an arrest or criminal charge can remain on your record indefinitely. 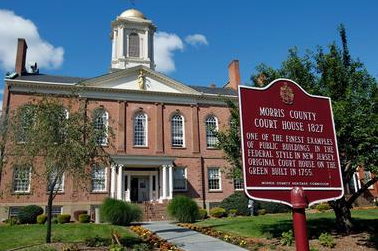 Thankfully, the Morris County Superior Court has the authority to expunge the record of a criminal arrest, resulting conviction, or alternative resolution. And once the court enters an expungement order, it is as if the offense never happened. Future background checks will reveal no criminal record. Essentially, your record will be clean. The Tormey Law Firm is a team of experienced Morris County criminal defense lawyers who have helped countless clients successfully expunge criminal charges from their New Jersey records. When you hire Travis J. Tormey, you ensure that your application for expungement will be properly submitted, skillfully argued, and efficiently resolved. If you are seeking an expungement for charges in Morristown, Mendham, Parsippany, Mount Olive, Dover, Boonton, or elsewhere in New Jersey, our Morris County expungement lawyers can help. Simply call (908) 336-5008 today to discuss the circumstances of your case and find out if you are eligible for an expungement. Our attorneys always provide consultations free of charge. What Criminal Charges Can you Expunge in New Jersey? If you were arrested, charged, convicted of a crime, or completed a diversionary program in Morris County, you do not want a black mark on your criminal record. Let our skilled Morris County expungement lawyers do what it takes to wipe your record clean so that you can move on with your life. Contact the Tormey Law Firm today for a free consultation. You can reach us at our Morristown office at (908) 336-5008 or toll-free at 866-949-6948, or use the online contact form to schedule an appointment.